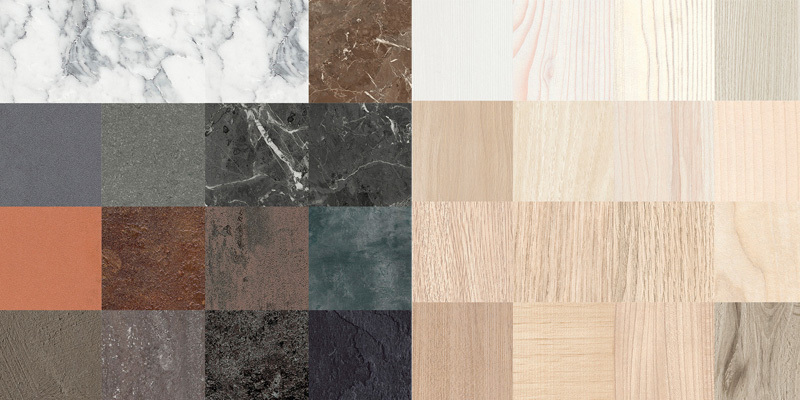 The most renowned laminate manufacturer in Europe makes its BIM catalogue available to specifiers. The 272 references are available on Polantis’ platform from now on. Resopal’s BIM textures (latest collection) enable to realize projects for the exterior and the interior (sanitary included). Resopal GmbH with approx. 600 employees in Groß-Umstadt produces functional and decorative high pressure laminates (HPL). The products are used in trains, in cruise ships, in interior fittings and on external facades, in swimming pools, hospitals and sports facilities as well as on furniture. End users associate the name with 1950s design: kidney-shaped tables, kitchens and small breakfast worksurfaces. The company belongs to Wilsonart International Holdings LLC. It is FSC® and PEFC™-certified and is certificated for environmental and energy management systems in accordance with ISO 9001, 14001 and 50001. Since 2000 Resopal has continuously attracted attention with its sustainable corporate strategy. All references are available in the following formats on Polantis.com: Revit, Archicad, Sketchup and TEX (a texture to download to place the product in any design or rendering software): click here. Visit Resopal’s web site to find out more about the company.